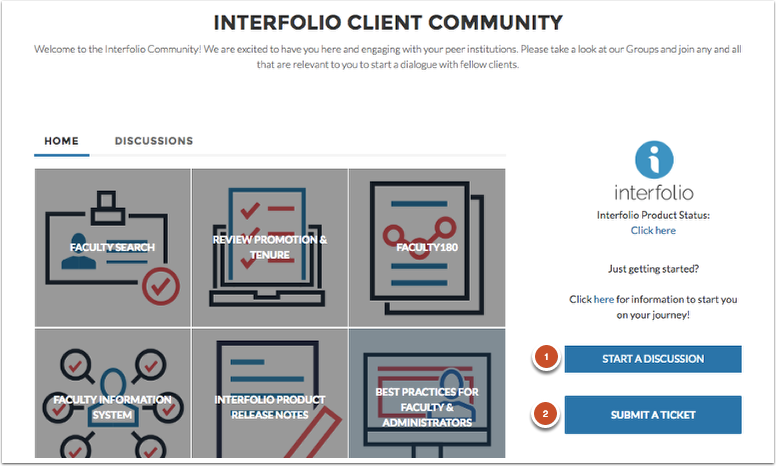 This article is an overview of the Interfolio Client Community and helps users understand what the Client Community is and how they can benefit from it. We believe in providing the best experience for our customers throughout their Journey with us. We will soon be integration the link to the Community from within the product. 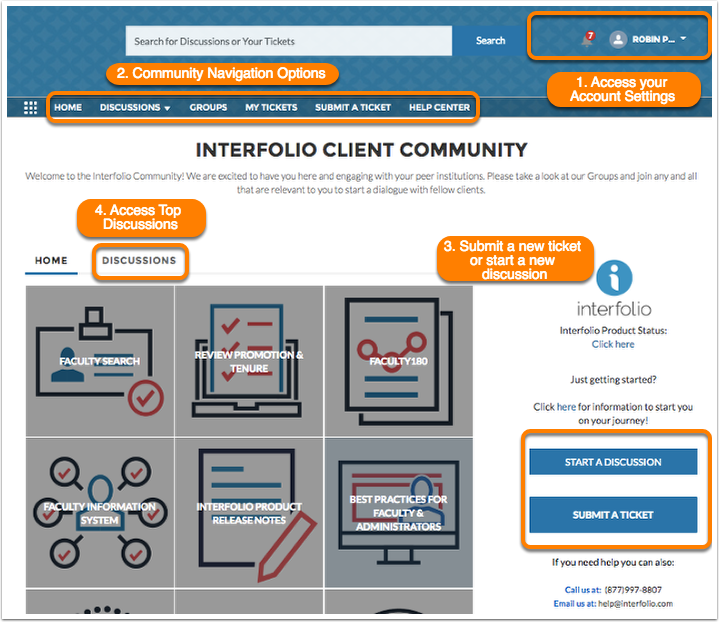 Currently, you cannot add to an existing ticket within the Interfolio Client Community. Additionally, if you want to add an attachment, you will do so after submitting the initial form. How to check the Product Status? 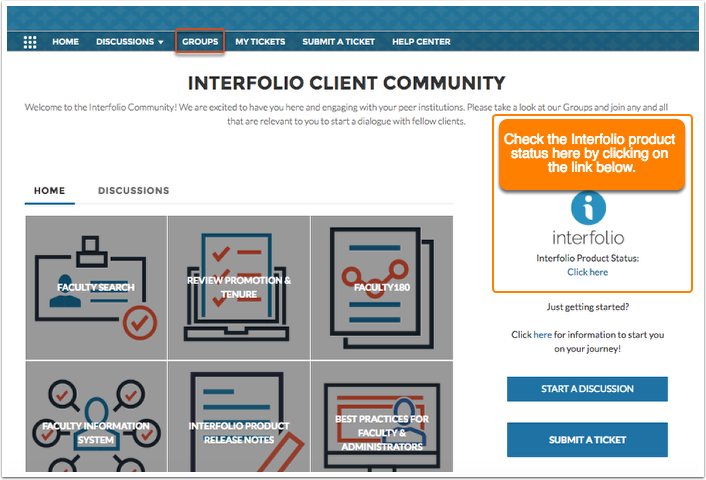 From within the client community, we offer a link to status.interfolio.com on the sidebar. 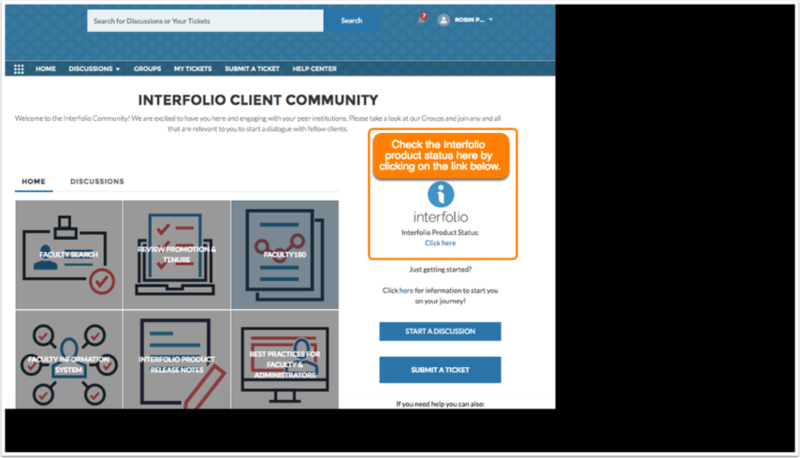 Simply click that link to be able to view the status of the Interfolio products. Click on the groups option from the tool bar to participate requests.